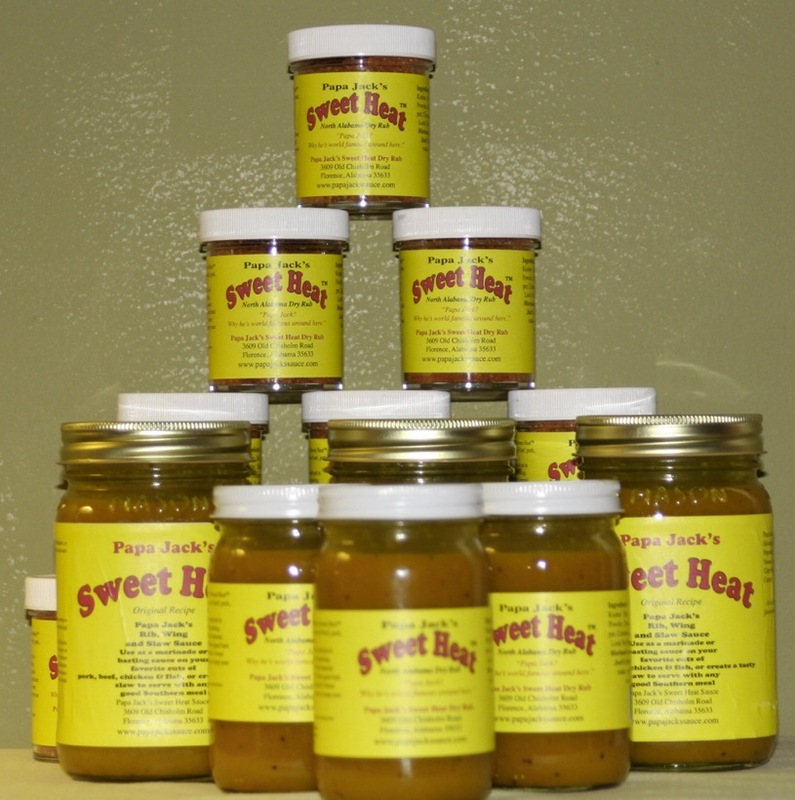 Papa Jack's Sweet Heat products were concocted by Jack Powell of Northern Alabama. Jack has a long history with BBQ. At the age of twenty, he learned to slow smoke pork and chicken in his father's restaurant, JP's. Forty years later, Jack is still fully entrenched in the world of BBQ with his unique line of regionally influenced products. Jack's Sweet Heat Marinade is a remarkably versatile mustard based product. Jack markets his sauce as a "Rib, Wing & Slaw Sauce." In North Alabama, mustard slaw is the preferred compliment to slow smoked BBQ. Papa Jack originally developed his product for slaw. In an effort to spread the word about his product outside of Northwest Alabama, Jack began experimenting with his sauce's uses and marketed it accordingly. 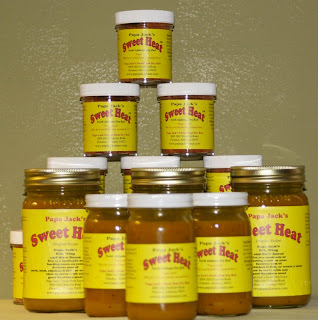 I put Papa Jack's Sweet Heat Marinade to the test on a couple of occasions this week. First, I whipped up a batch of Papa Jack's slaw based on the recipe provided on the jar. Mustard slaw was completely new to me. I grew up on sweet, mayo based slaws in Michigan. Now living in the Carolinas, vinegar slaws are all I ever see. The slaw's flavor is much more bold than what I'm used to, but I enjoyed the change. Though the slaw was good on its own, there is no doubt that it works best in tandem with BBQ. Slopping Papa Jack's slaw on a BBQ sandwich is a winner. I paired some with BBQ meatballs this weekend. I loved the bold mustard slaw with a sweet, tomato BBQ sauce. Later in the week I decided to test the sauce's versatility by using it on wings. I baked a couple dozen chicken wings and tossed them in Papa Jack's Sweet Heat Marinade. The sauce provided a unique contrast to the other traditional wing and BBQ sauces I was using. There are so many uses for Papa Jack's Marinade. I'm looking forward to trying it on burgers and dogs. If I have any left over, I may even brush some on a rack of ribs. If you enjoy mustard based products, I strongly suggest giving Papa Jack's Marinade a look. For more information about Papa Jack's Marinade, click the title of this review. See how this sauce compares to others on the "Product Reviews" page. 1 Response to "Papa Jack's Sweet Heat Marinade"